21 Tips to Massively Increase Instagram Engagement in 2019. Essential tips for taking your paid and organic posts to the next level. December 2018 update: Instagram has continued to expand in 2018, with over 13% of everyone on Earth now using the platform. It has also continued to prove itself as a huge source of ad revenue, with Instagram ads expected to generate nearly $11 billion in 2019. With impressive figures like that, it’s no wonder that many analysts are starting to see Instagram as the new engine behind Facebook’s growth as a company. For now, Instagram remains the sweetheart of the social media scene for marketers. And it’s not hard to see why when you consider it has over 1 billion monthly active users with 50% following brands. According to Forrester, engagement – measured by likes, shares and comments from consumers – is also off the chart, boasting a rate of 4.21%. That’s 10 times higher than Facebook, 54 times higher than Pinterest, and 84 times higher than Twitter. But apart from such impressive topline figures, challenges are emerging that point to Instagram’s marketing potential dimming because of reduced engagement rates. From the social network’s introduction of its algorithmic timeline that has impacted organic marketing campaigns to conspiracy theories surrounding ‘shadowbanning’, many in marketing are beginning to wonder if Instagram’s glory days are behind it. Against this backdrop, proactive marketers are seeking ways to increase Instagram engagement despite such setbacks. That’s why we have put together these 21 tips to ensure your paid and organic marketing campaigns continue to hit their mark – and to safeguard your Instagram marketing tactics now and in the future. Brands need to be active in order to attract followers and boost engagement rates – but how active? According to studies, the sweet spot is a consistent 1-2 posts a day. Knowing when the best time to post on Instagram is also critical especially when dealing with Instagram’s algorithmic timeline. Recommended post times can vary wildly depending on which expert you listen to. With some advocating 8 AM – 9 AM or 2 PM – 5 PM for your first post to even 2 AM for your second, this inconsistency can create genuine confusion for content planners. 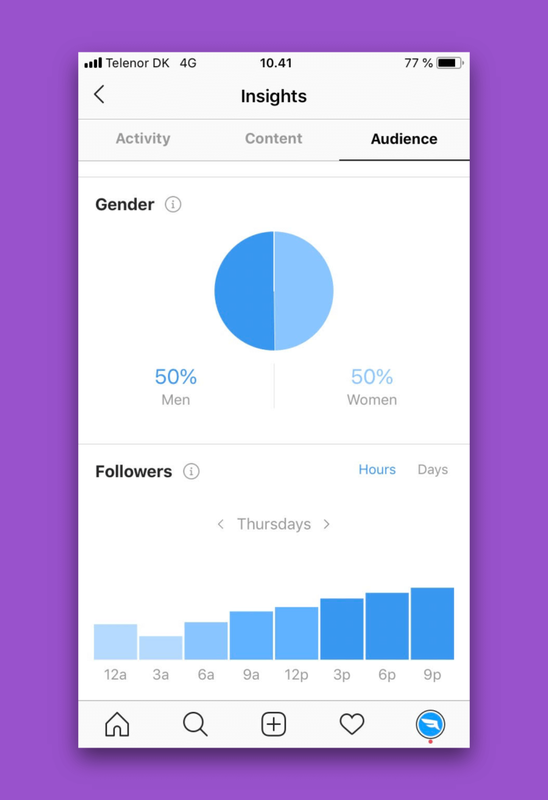 Instagram’s native analytics tool, which shows what times and days your followers are most active. Instead, uncover your own followers’ Instagram habits by using the Insights feature of your Instagram Business account. This helps you identify when your followers are most active and allows you to schedule accordingly, ensuring your posts continue to appear at the top of their feeds. For an extra helping hand, consider using a tool like Falcon’s Instagram Publishing and Measurement to hone your content delivery strategy further (see point 11). Instagram is awash with mediocre brand messaging that forgets the social network is supposed to be a ‘visual inspiration platform’. You should captivate audiences through images and video, not simply preach marketing missives at them. To increase engagement rates, become a storyteller instead, offering ‘micro-stories’ via your captions, videos, Instagram Stories and profile. Or try sharing user-generated content that resonates with your brand (see point 15). For inspiration, follow innovative Instagram storytellers such as Airbnb, Red Bull, Lego and Nike. You can also view these examples to help kickstart your creativity. An example of a successful Instagram Story from Red Bull. Source: Your Charisma. Clarity, creativity and consistency are king for enterprises aiming to build brand awareness on Instagram. An erratic, haphazard approach just doesn’t work. Try to focus on core areas like presenting your profile, creating style patterns that keep your images looking fresh, and mastering hashtag use (see point 8). You should also be interacting regularly with your followers to build up engagement and loyalty. By roadmapping your processes and brand best practices for Instagram, you can present a positive and consistent brand to your target audience. A picture may be worth a thousand words, but a video is worth 1.8 million. While Shakespeare lovers might vehemently disagree with such a stat, there is no challenging the efficacy and popularity of online video content. Instagram recognizes this and offers a suite of video options for marketers to deploy. From Instagram Stories that can mash up videos and stills into a single ad (see point 16) to standalone 60-second videos ideal for long-form features, make sure you use the strengths of each video format. For instance, consider Instagram Stories’ live video option for big reveals about new products or services or use a prerecorded ad to offer up authentic, behind-the-scenes stories to your followers to increase Instagram engagement. Instagram offers marketers a variety of video formats, from live streams to Stories. Source: TechCrunch. With video increasingly dominating the online space, audio has become a poor cousin with the majority of users preferring not to enable sound when viewing a video. It’s why subtitles have become so essential for marketers, enabling core messaging to be delivered on-screen alongside visuals. Facebook research shows that captioning videos increases average video view times by 12%. Messaging effectiveness is also boosted massively, boasting a success rate of 82% compared to 18% with sound on and zero captions. Auto-captioning is offered by Facebook (though be sure to check any captioning for errors) or, alternatively, you can create your own dedicated captioning file. To learn more about how to add closed captions, head here. 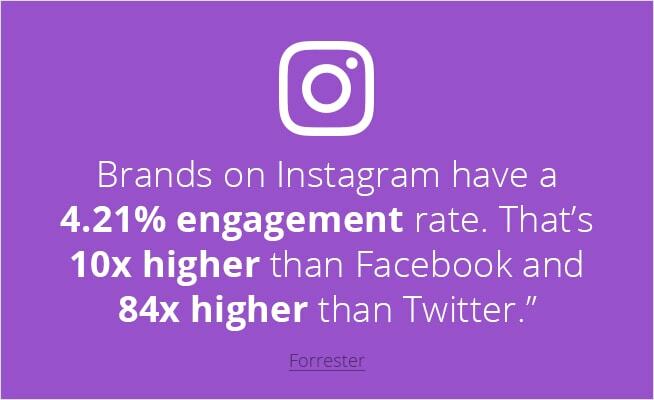 With 75% of Instagrammers stating that they take actions “like visiting sites, searching, or telling a friend” after being influenced by a post, mastering the platform’s range of advertisement formats is essential. While photo ads remain a stalwart of the platform, Instagram video formats are an increasingly invaluable tool for targeting a selected audience. The platform offers three key video formats to create Instagram ads: single video ads offer the opportunity to create up to 60-second commercials, ‘carousels’ allow more message real estate by enabling followers to swipe across for additional images or videos, and Instagram Stories offers a vertical full-screen format where images and videos can be spliced together to create visually-arresting ads. Airbnb uses Instagram’s carousel video format to showcase travel opportunities. Source: Adweek. For specific information on how to promote your business on Instagram using videos ads, use this step-by-step guide to get started. With research showing more people watch to the end of videos that are 15 seconds or less, learning how to create and how to post a GIF should be mandatory for marketing departments. Celebrating its 30th anniversary in 2017, the GIF format is more appealing than photos – GIFs are shared more than either JPEG or PNG formats – and are more cost and time effective than producing videos. It’s also the medium that clearly inspired Instagram to create its own riff on the GIF – the Boomerang – which records a short sequence of stills before combining and then looping them backward and forward, ready for upload to Instagram. The tool has already produced some excellent results for brands who have experimented with the young medium to increase Instagram engagement. Timberland has seen great engagement rates with its innovative Boomerangs. Source: Adweek. Selecting the best hashtags for your Instagram posts can mean the difference between appearing as a top post or sinking to the bottom of the feed without a trace. Make your hashtags too generic – think #christmas or #fashion – and your post will face competition from potentially millions of others. Instead, use a mix of trending and industry-specific hashtags to find the best hashtag to connect with your targeted followers. The number of hashtags you deploy is also critical. While Instagram allows for up to 30, a mass of tags underneath your caption risks looking both untargeted and unprofessional. That’s why 91% of posts by top brands use seven or fewer hashtags to get many likes. To help decide which is the right number for your brand, identify how many hashtags your competitors and sector influencers typically use, then experiment with differing hashtag volumes on your posts until you find your sweet spot. Instagram traffic can help boost visits to your website with the platform allowing for a single clickable link in your bio. Maximize the potential of your link with special offers and promotions to encourage followers to click through. You should also combine strong calls to action with your URL in a text overlay on any images or videos (see point 20). Don’t forget that all of Instagram’s ad formats offer a call-to-action button that followers can click on to take them to your website. If you have partnered with an influencer (see point 12), work with them to promote your URL in their own content as well. Finally, to ensure you can view relevant traffic stats, deploy analytics software to glean insights on which Instagram content is driving traffic to your website so you can target your campaign further. Instagram and SEO might not seem like the most obvious of bedfellows – but creating an SEO strategy for your Instagram account is vital on the increasingly competitive platform. The two key areas that affect SEO are your account handle and account name. The first is the ‘@’ name that you register with, which should clearly reflect the sector in which your business operates. Remember, Instagram can identify the content of your posts. If it doesn’t fit with your handle, then expect your posts not to appear in the Explore section. Then there’s your account name, which appears under your profile picture and should reflect your account handle and industry. When people search Instagram using words or emojis, it’s your account name that Instagram will check searches against. For tips on how to create and optimize SEO-friendly handles and names that will increase Instagram engagement, head to our complete guide here. The extensive range of Instagram apps and filters available to marketers can be a boon for brands. Inevitably, because the platform is visually-driven, Instagram’s most popular feature among marketers is the filter options that give your images and videos a distinct look and identity if used consistently. Mayfair is among Instagram’s most popular filters, adding a warm pink tone and black border while brightening the photo’s center. Source: Photodoto. According to a WebDam social media report, 60% of the best-performing brands on Instagram use the same filter each and every time they post. Apart from filters, there are a wealth of third-party apps to utilize too. From Instagram photo editing apps such as Pic Stitch to Captiona’s ability to create engaging captions for your posts, chances are there is an iOs or Android download to help plug any knowledge gaps you might have. Instagram influencer marketing has become increasingly significant these days, allowing marketers to work with key thought leaders in their sector and push brand messaging out to a wider audience. Because influencers are seen as ‘independent’, aligning your brand with their authoritative voice can add genuine authenticity to your messaging. How to select the right influencer can be challenging though. Marketers can fall for the glamor of working with a celebrity instead of focusing on what the influencer can actually bring to the table. It’s essential that marketers understand the definition of what is an influencer in the first place, planning out an influencer strategy that features a short trial campaign period to see how receptive the influencer’s network of followers is to your brand. You also need to ensure your influencer is given the right tools, resources and guidance they need to carry out their role effectively and work hand-in-hand on the campaign with you as true partners. For more details on how to create a successful influencer campaign that will increase Instagram engagement, head here. Contests are a powerful engagement tool on Instagram, generating 3.5 times more likes and 64 times more comments than regular posts. Despite this, they’re regularly overlooked by brands, with only 2% of accounts hosting contests and a mere 0.6% of posts actually offering them in the first place. This means there’s a huge, relatively untapped resource for marketers to capitalize on. How to run an Instagram contest requires planning, from partnering with another brand to increase reach and identifying contest rules and goals – for instance, ‘enter to win’, ‘like to win’ or ‘follow to win’ – to the creation of the attention-grabbing contest post. Once ready to deploy, strategize the contest’s promotion; along with Instagram ads, think email blasts, website banners, social network plugs and more. Monitoring the contest when it is up and running is also essential. Use hashtags, Google Alerts and social media management platforms to track your contest’s performance. Once it’s over, promote the results on your social networks. For inspiration, view these best Instagram contests that have driven brand engagement rates through the roof. Well-run Instagram contests like Mint’s get 64 times more comments than a typical branded post. Source: Mint. Email remains the de facto channel for building truly deep customer relations. It’s why brands strive to convert Instagram followers into email subscribers via three established steps designed to create effective Instagram marketing for email. First, create a clickable incentive in your Instagram posts depending on your target audience. For instance, consider offering a prize, free content, or a discount. Second, once the audience clicks through, ensure the landing page features a strong call to action linked to an email submission form. Third, create a mailing list to effectively wrangle your new email subscribers so you can begin to develop more meaningful relationships with them. User-generated content on Instagram is the holy grail for marketers. It’s a chance for followers to involve themselves more deeply with a brand while reducing marketing costs because content is being created and approved by your audience. It’s an approach that has paid dividends for the best user-generated content campaigns. For instance, Virgin Holiday’s #SeizeTheHoliday invited followers to share their vacation photos on social media using the hashtag. By monitoring and collating the best images, Virgin was able to use the accrued portfolio of photos as part of its billboard and TV ad campaign in the buildup to 2016’s Black Friday and subsequently experienced a 260% increase in online bookings as well as a rise of 64% in passenger numbers over the previous year. Virgin Holiday’s #SeizeTheHoliday campaign on Instagram employed user-generated content to increase online bookings by 260%. Source: Virgin Holidays. With over 300 million people using Instagram Stories every day, it perhaps shouldn’t come as a surprise that one-third of the most viewed Instagram stories actually come from businesses. Stories enable you to post a mix of photos and images in a single post that disappears after 24 hours. But their benefits can last much longer for your reach and engagement rates, pushing up your chances of appearing in the Explore section and helping you gain new followers in the process. Critically, followers are automatically notified of any new prerecorded or live Stories. Live Stories are ideal for drawing people in because they’re happening in the moment, while prerecorded Stories are perfect for in-depth coverage of your products, one-time quick fire promotions, or sharing narratives. For examples of how to use Instagram Stories for marketing, head here for inspiration and ideas. To open links in Instagram Stories, just swipe up from the bottom of the screen. Source: Instagram. Previously only available to verified Instagram account holders, businesses can now add a link to their Story as long as they have 10,000 followers or more. In the past, brands would be limited to having a sole link in their bio, so the change introduced in mid-2017 is an important one. To add a link, you’ll need to upload your photo or video to Instagram as before. Next, you tap the link icon at the top of the screen. Type in the link, do a quick preview to check all is well and hit ‘done’. That might seem like a simple option, but it’s an essential one for driving even more Instagram traffic to your website (see point 9). The power of images over words extends to emojis—especially on Instagram. Nearly 50% of comments or captions on the platform feature emojis. Critically, these are searchable—users can seek out posts that include specific emojis. With over 2,623 emojis available (and climbing), it is essential to create a strategy on how to use emojis that captures your brand without looking too informal. First, consider if your brand should be deploying emojis at all – for instance, if you offer, say, a financial aid service, are they appropriate? Second, check that you understand their meaning to ensure usage remains appropriate and judge how many should be used and how often to increase Instagram engagement. Finally, remember emojis cut both ways, reflecting what followers think about your posts, so monitor comments for emojis to use as sentiment indicators. Spread the word about your Instagram channel as far as possible. For instance, promote your Instagram account on Facebook by making an announcement on FB with a clickable link to your Instagram page. You can also exploit Instagram’s auto-post and cross-promotional tools. The cross-promotional tools allow you to instantly post from Instagram to Facebook, Twitter, Tumblr and more, bringing followers together from across your social networks. Remember not to cross-promote all your Instagram posts to other social channels or you risk ‘cannibalizing’ your content, negating the need for followers to visit your Instagram channel in the first place. Followers may love your Instagram ads, but be sure that all that love actually leads somewhere by using a powerful Instagram call to action. While CTAs can be introduced into images or caption copy, the most direct way to increase interaction rates and push followers in a certain direction is to make use of the official CTA buttons that Instagram makes available to enterprise. These appear below your post and are ideal for delivering short, punchy CTAs such as ‘Learn More’ and ‘Call Now’ that snare followers’ attention. For the best Instagram call to action examples and how to create them, head here. Learn the ‘formula’ of content that will drive up your Instagram engagement rates, using it to further hone your Instagram marketing strategy. There are many ways to do so, whether through identifying the most effective hashtags and visual styles or through learning when the best times are to post. Through such monitoring, you can develop best practices for your own brand. Also consider deploying a social media management platform like Falcon. Social listening and analytics will help you finetune your marketing strategy and increase Instagram engagement. Falcon’s Instagram Publishing and Measurement tool offers a streamlined way to create, manage, and collaborate on visual campaigns. And our final bonus tip? Realize that your Instagram journey is never over. While that might sound daunting, your Instagram profile is like your business – an enterprise that is constantly growing and evolving while forging ever-deeper links with its followers. By following these 21 tips for Instagram best practices in 2019, you can maximize your Instagram channel’s potential. So no matter how the network evolves, you can increase Instagram engagement and keep those likes, shares and comments coming.